Discount Dumpster is here to help you with exceptional rates on residential roll off rentals. If your goal is to spend less money on your next remodeling project, we can provide you with a container with low flat rates and no hidden fees. Call us Monday through Friday and rent assuredly knowing you got the best deal. You can have a bin delivered to your job or work site in the Chicago area. We accept household and construction debris, including dirt and concrete. 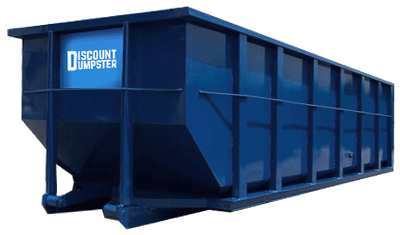 At Discount Dumpster, our goal is to make sure your rental experience is as hassle-free as possible. You have the option of renting as many roll offs as you need. One convenient option of our roll offs are the loading doors. With this option you can walk in large bulky items. Call us Monday through Friday to choose which size, or sizes, best fit your plans. The 10 yard residential roll off is excellent for cleaning out the attic and basement. The bin is small in size and can fit just about anywhere. 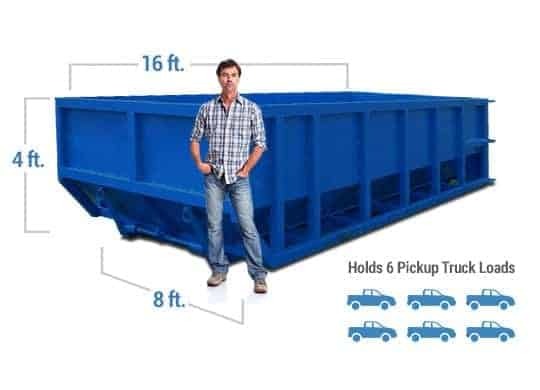 The container allows for you to discard small amounts of construction and residential debris. 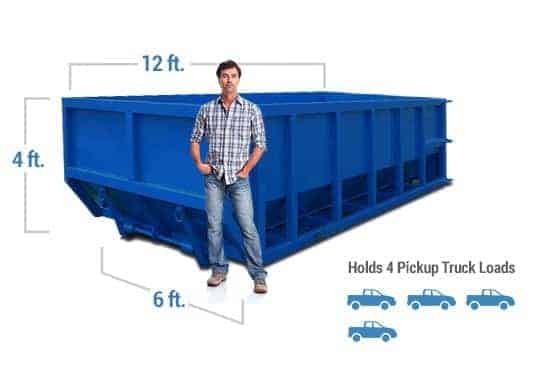 Slightly larger than the 10 yard roll off, the 15 yard bin is optimal for small cleanups and remodels. The residential roll off is able to hold light demolition materials. The low height makes discarding bulky objects easier for any customer. The 20 yard is an excellent size for renovation and roofing projects. The roll off allows for the easy disposal of construction rubbish and household litter. The container is also useful for light demolitions. Smaller than the 40 yard, the 30 yard residential roll off is common for customers with multiple remodels and renovations. The bin can easily hold demolition debris. It is a convenient size for large-scale disposal. The 40 yard is great for large building renovations. The roll off allows you to discard several tons of remains at once. The 40 yard is ideal for contractors with large-scale plans. We deliver residential roll offs to sites in and around the Oak Brook area. Customers can identify the containers they need to have their clutter removed and hauled away. All that is required is a simple phone call to our team. They will make sure that the bins you ordered are suited for the task and that they get delivered when expected. Orders are processed immediately so you don’t have to wait long before getting started. Call anytime today to rent your roll off! Where Does Trash Go in Oak Brook? In the Oak Brook area, there are several places your junk may end up. Many municipal sanitation services will use recycling centers to sort out mixed garbage. This process results is recyclables being separated from landfill garbage. The recyclables are recovered for further preparation. Everything else ends up in the landfill for it can’t be processed. Our residential roll off service follows the same method. This allows the company to run a cleaner waste removal business than your average dumpster rental service. Once the container is filled we take it to the nearest disposal facility. It is here where the rubbish is separated into recyclables and landfill waste. We strive to recycle as much garbage as possible. It not only helps the environment, but also keeps our disposal costs down. We can then pass the savings on to you!